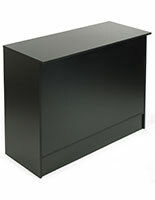 Register stand is made of melamine laminate. 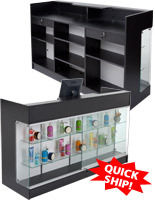 This register stand, or wrap counter, provides you with the means for having an organized point of sale area. 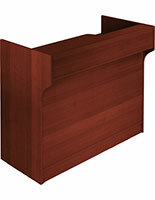 Made of melamine, the register stand is an inexpensive alternative to solid wood construction. 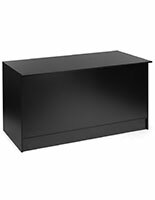 There is a 6" high drawer which is perfect for storing pens and paperwork. 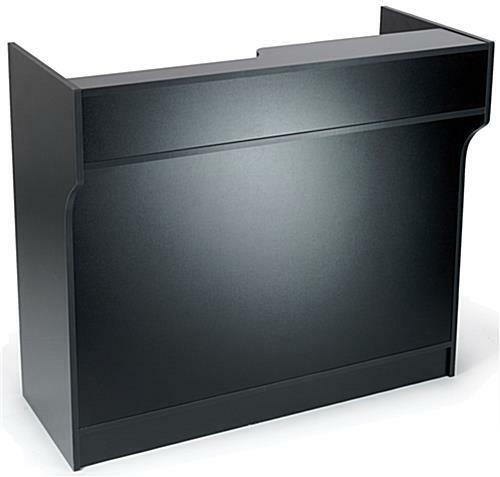 The register stand, a cash counter, has a recessed well that is useful in concealing electrical cords. 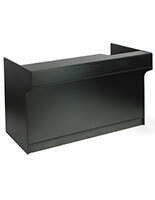 There is also a convenient check writing shelf for customers. Underneath the register stand is a large area for storing returned items or "on hold" merchandise. 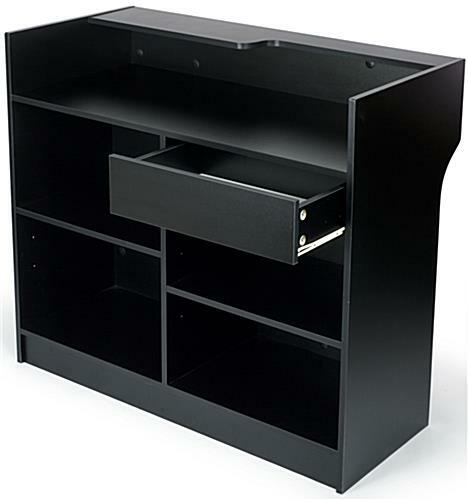 The register stand has two adjustable shelves. Please note: Assembly is required. An instruction sheet is included. I ordered this cash wrap for $202 but had to pay $167 for shipping which was the cheapest option because they said it had to be shipped on a lift gate. When I received the shipment it was four boxes strapped to a pallet. To my utter shock 2 of the largest boxes were empty. 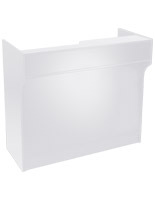 The other 2 which could have easily been shipped through a regular carrier like FedEx or UPS for far less that $167. Once we built the cash wrap one of the pieces was too small by 1/8 inch. There was also a scuff on the side. I have pics of everthing but it seems I can only attach one. We are very sorry that your order arrived damaged, George. A customer service representative will contact you promptly. Also please advise for future purchases that not all of our products carry a high shipping fee. We ordered two desks - they are good quality for the price and sturdy. Easy to put together - needs two people. They look great, have a lot of room for storage. The product is excellent. The rating is not a 5 star because of the delivery. Delivery of the desks was horrible. It took four attempts to deliver over a three-week span. The quality and look of the Desk is great. 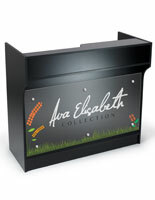 Unfortunately, we won't order from Displays2Go unless we absolutely need to because of the delivery. We are sorry that you had some issues with the delivery, Kim. A customer care representative will reach out to you shortly to see if there is anything we can do. I bought this for my store as a check-out counter. I put my register system on it. I would recommend you have someone help you put it together. It does take 2 people and the directions are a little confusing. 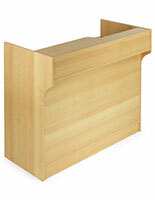 But, it is a very nice looking counter and is very sturdy! I would highly recommend!